Getting rid of and preventing the formation of future kidney stones can be done with some commitment on your part including diet changes. This is a guide about preventing and eliminating kidney stones. I am 18 year old and I am suffering from a kidney stone for the 3rd time. Now I am having 2 stones, 16.5 mm and 6.5 mm. Kindly give me some solution for this, please. I go here frequently to check out new things to do for different ailments. Use your judgement to decide if any of them are safe and for you to use. Also don't eat Mexican food and drink lots of water and lots of real lemonade, not the fake kind, but real lemonade with bunches of lemons in it! What are your kidney stones made of? They would be mineral based. Usually it means your body is either getting too much of a mineral, or is unable to beak it down. Medical questions need to be asked to the doctor or a medical community - not lay people. As an EMT I can tell you asking friends, peers, coworkers and such often leads to misdignoses that cause more harm than good and can actually delay helping a serious problem. No sodas at all - ever for you. Look for home cure of lemon and olive oil. It works. I wish we could 'thumbs up/down' replies to questions-Mom From Missouri would win my up! She is absolutely right-the best (read only) person to ask for this serious a bit of medical advice is your health care professional. My brother had 'stag-horn' stones so profound in one kidney that after lipotripsy treatment failed to break up the stone, his doctor decided to remove the kidney. I was tested for compatibility as a donor because they thought the other one might have to be removed as well. I was a 'perfect' match so they had me prepped and waiting whilst they did the surgery-luckily they were able to save the remaining kidney. The upshot of it all was that the doctors told us kidney stones, gout, and related illness run in families, and usually begin to appear in the middle-aged years. At the time my brother was in his mid-forties, so he was right on schedule. My point is-you write that you are very young, only 18, and have a history of stones already. That's extremely shocking. You MUST be under the care of a competent medical professional as there is clearly something out of the ordinary happening with you. He/she will advise you on proper diet, medications, lifestyle changes to make, etc, to keep you from losing a kidney. You will also be given genetic advisements as to the potential for passing whatever is going on with you onto future offspring. Please. Go to the doctor. Now. You can ask your doctor to recommend a dietician who will be able advise you on the proper diet to help prevent this from re-occurring. Two ideas I've heard over the years that may help - (1) avoid drinking sodas and (2) try a roller coaster ride (which supposedly dislodges the stones). Be well soon! 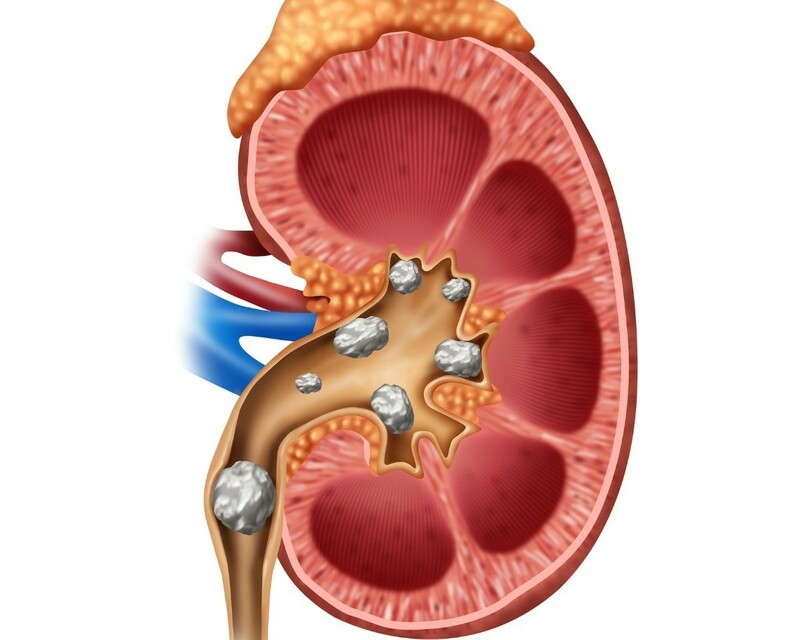 How could I get rid of my granular size stones in my kidney? My doctor told me that it's okay, however I feel a recurring back pain and leg pain that I suspect to be results of those granular stones in my kidneys as the medical scan shows. My husband had his first kidney stone attack last year and he said the pain was unbearable. What has worked for my husband is that he drinks a lot of lemonade made from bottled lemon juice, sugar and water. What works for one person, may not work for someone else. He also has low blood sugar so the lemonade helps with his low blood sugar and also breaks down the sizes of the kidney stones so they are easier to pass. DH has to avoid ice cream since it can cause kidney stone formation. If you suffer from kidney stones the following foods should be avoided or eaten in moderation. My urologist suggested that I drink plenty of lemonade and/or Crystal Light. He said that the citric acid in these drinks can help to break down stones that have formed. I hope that this helps and that you get some relief. Juice fresh lemons and freeze it in ice trays. Store the cubes in a zip lock bag in the freezer. Put a cube of lemon juice in an insulated mug and fill with ice cubes and water. You'll have lemon water to sip on for several hours. Just keep adding water as you drink it until the cube of lemon juice is melted. There are a lot of good advice on here. My daughter has kidney stones too. They started when she was 16. Her doctor recommended the lemon water. He also recommmended no dark sodas unless you drink the equal amount of water after. Another friend said that his doctor recommmended apple cider. You are suppose to drink a glass and follow by equal amount of water. He said if you have an attack, don't eat and start this flush and it will relieve the pain. We haven't tried that but he said it worked for him. He also added that it has to be apple cider and not apple juice. Good luck with this very painful condition. I was told to drink lots of water. This helps flush the kidneys. Depending on the origin source. Some is calcium some is phosphates. Phosphates come from soda pop consumption. A friend of mine had them up the yin yang, and when he finally quit the pop (as his doctor had said) his kidney stones stopped. My husband gets them too, but does not plan to give up 2 pop a day. I don't buy it, will not serve it, he is on his own without sympathy when he gets an attack. Heads for the clinic, a hypo, an IV to push fluids and waits there till it moves. The pain of the kidney stone is when it is moving scraping the inside little tubeways. When it stops hurting it is in a pocket or moves on out. This is why straining urine is important to know where it is. A CT will show where it is, but that is pricey if you have no insurance. 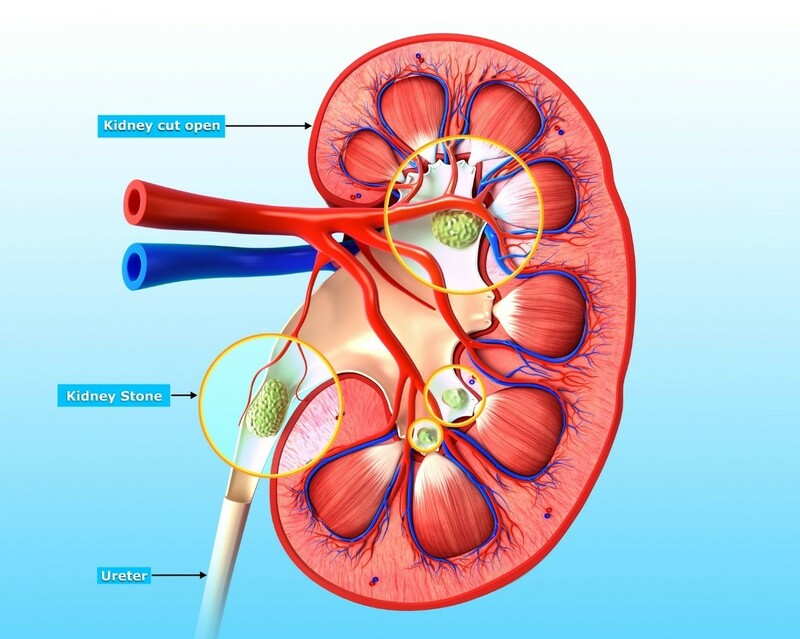 This is a guide about home remedies for kidney stones. If you choose not to use prescription medications or surgery for kidney stones, there are some home remedies that might help. I have had numerous kidney stones, I drink lots of water, no soda, but still get them. Does anybody know a remedy to get rid of them or to prevent them? seeds. Even though my husband was taking medicine from the Dr., when we made the watermelon tea, it seemed to really help. Bring water to a boil, then put in the watermelon seeds and let set for 10 minutes or so. You can add some lemon juice and sweetener to help the taste, if desired. Hope this will help, but please see a urologist to find out what is causing your stones. Your stones can be composed of various compound and crystals. Only an analysis of the actual stone will give this information and this is almost always done when your pass a stone in a healthcare environment. Blood analysis may also be useful (these are generally performed when you see a urologist for your stones). Avoid tomatoes if your stones have a calcium base (per my husband's diagnosis). He has over 100 stones identified during his IVP, but has only passed 2 due to proper hydration (lots of spring water because we have a water softener), no cola in the last 15 years (he is 55 years old). Also check any prescription drugs with your pharmacist. Our daughter takes Topomax and one of the side effects is kidney stones. I see that a lot of feedback lists cranberry juice. My urologist said that cranberry (and apple) juice is in fact not good for certain kidney stones and can even cause them. Believe it or not he actually recommended coffee with creamer was better for me.